New Updated appliances and fully stocked kitchen. This delightful condo is an END UNIT! 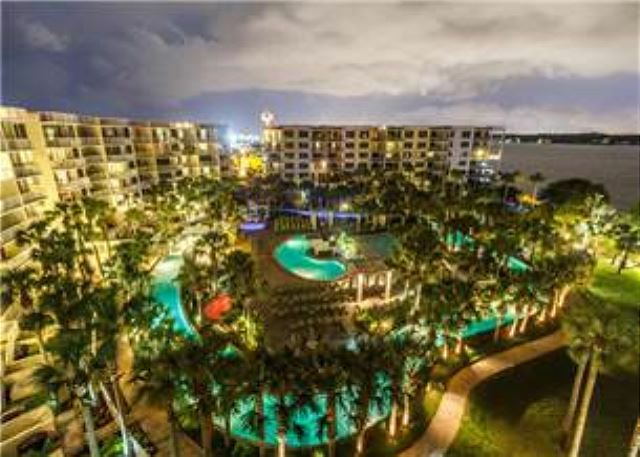 Located on the 3rd floor with beautiful views of both the Choctawhatchee bay, lazy river and tropical pool oasis from front balconies. 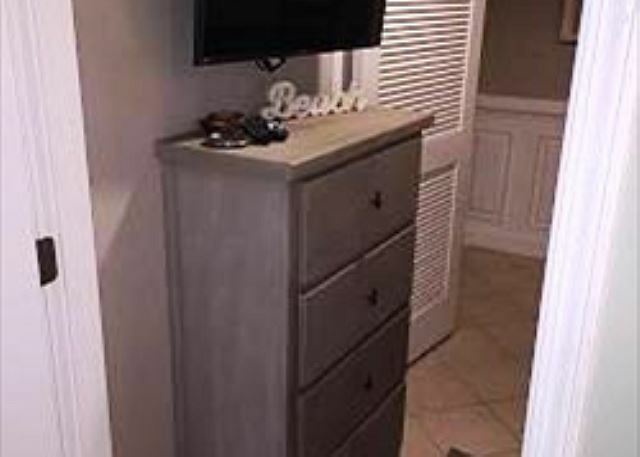 This 1br/2ba unit comfortably sleeps 7. 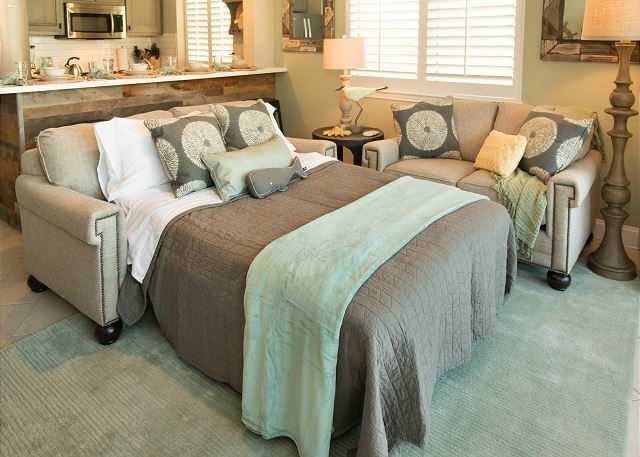 The décor is clean and contemporary with soothing colors and furniture meant for comfort. 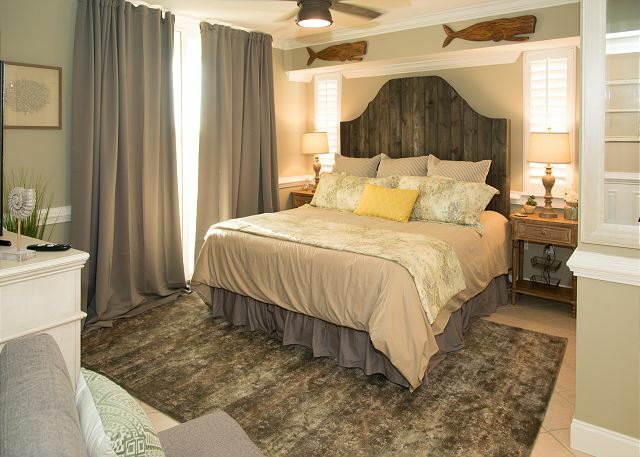 The warm and inviting master bedroom features tile flooring, a king size bed with Temperpedic mattress and a chair that folds out into a twin size bed, flat panel TV, a private balcony, and private master bath with a shower/ tub combo. The kid-friendly bunk room includes twin bunks with memory foam toppers to make the beds comfortable even for adults, TV, a door for privacy and is located near the guest bathroom. 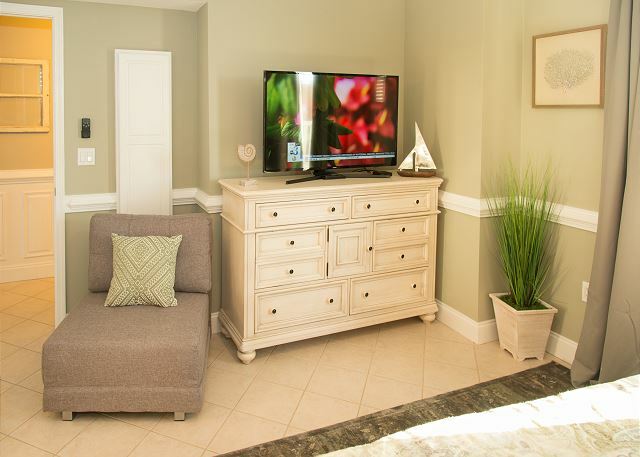 The family room offers a full sofa sleeper, TV, DVD. 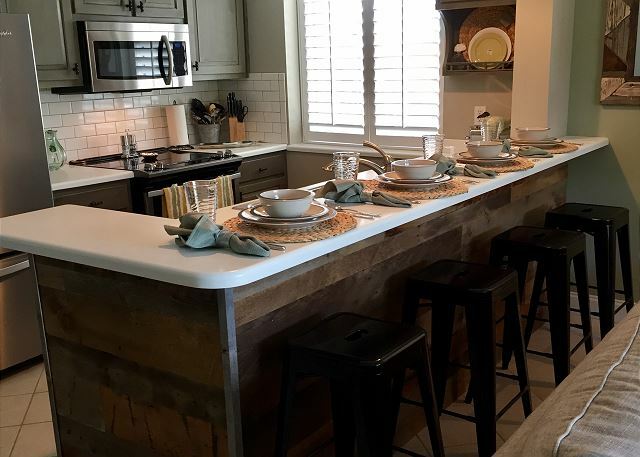 The kitchen comes fully equipped with a side-by-side fridge/freezer with a water and ice maker, dishwasher, oven with smooth top range, and an over-the-range microwave. Extra touches include a Keurig, crock-pot, fry daddy, new mixer, blender and toaster. A stackable size washer/dryer is provided for your convenience. The unit is tiled throughout and offers complimentary Wi Fi Internet access. 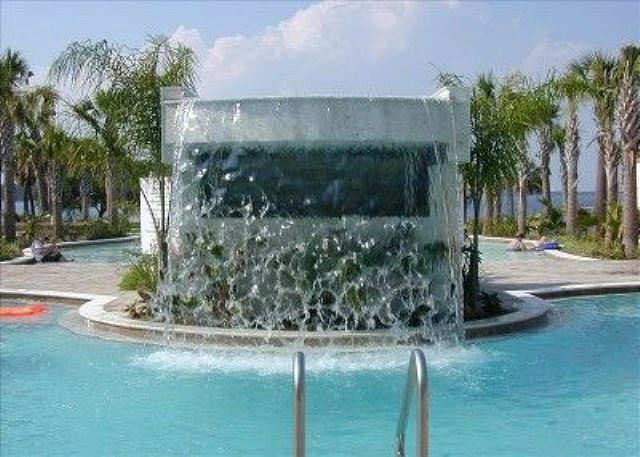 Staying in this condo is a wonderful way to experience a fun vacation at this great family resort. 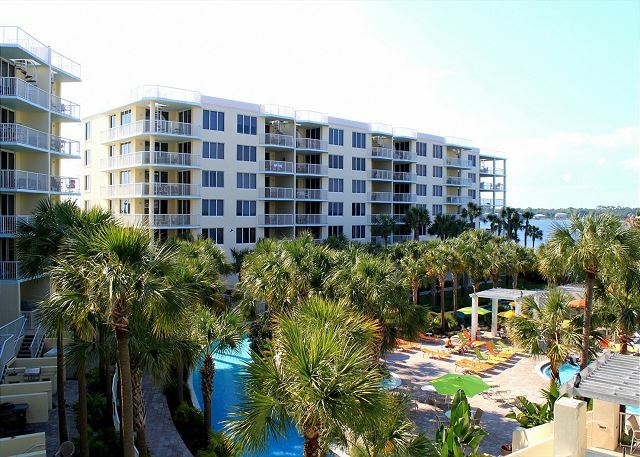 **Free Wifi in unit**The Destin West Beach and Bay Resort offers the best of the Island! Soak in the 5000 sq. 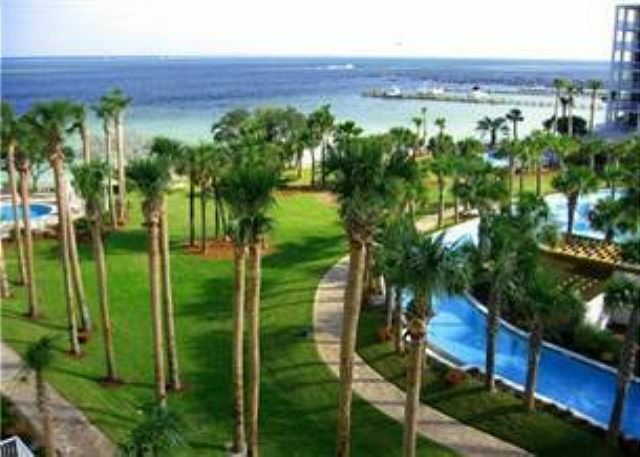 Ft. Gulfside pool, float in the 700 foot Lazy River, or just relax on the white sandy beaches. Enjoy the fitness suite, 7 pools, and use the skybridge for easy access to both sides of the resort. 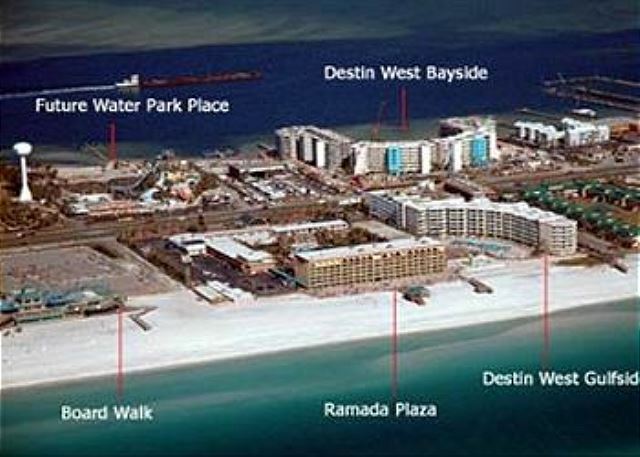 Destin West is walking distance to so many great attractions. The Boardwalk and fishing pier. If you prefer to explore, Okaloosa Island offers miles of Gulf and Bay beaches that are perfect for outdoor adventures. IF YOU HAVE FRIENDS OR FAMILY YOU WANT CLOSE BY, we also manage VRBO# 568653, they are one unit apart on the same floor. OR VRBO# 1055757 is on the same floor as these units. The property was great. The king bed was super comfortable,wonderful kitchen, huge fridge, nice family room, 2 good sized bathrooms, great set up, nicely decorated, and beautiful view of lazy river and bay. The location is great because Destin can get very busy so having access to Fort Walton restaurants right across the street is great especially after spending a long day at the beach. I would recommend this condo to all of my coworkers at Delta Air Lines since they travel so much. Also, it's so nice going to the beach during the day and then floating on the lazy river during the evening. 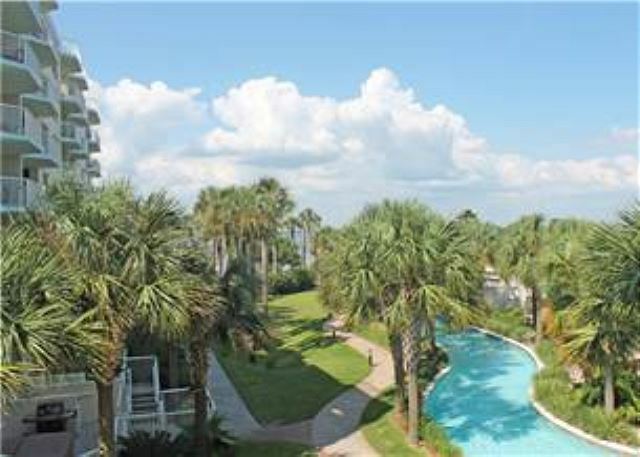 Dear Ms. Johnson, We love hearing from our guests and are thrilled that you enjoyed all that 301 Pelican has to offer! I couldn't agree more that this is a wonderful condo! We're always standing by to book your next stay, so don't hesitate to call us when you're ready to come back! The people that manage this condo go over and beyond to help you with all your needs! The condo was in amazing shape and we had a awesome time. I will be staying here again in the future. Dear Ms. Lawson, We love hearing from our guests and are so happy you enjoyed your stay! We're standing by to book your next trip whenever you are! We had a wonderful time. My husband, my mother, our 3 year old granddaughter, our 5 year old granddaughter and my self. We watched fireworks on the beach. Everything is kept clean. Stayed in lazy river a lot. Dear Ms. Millsaps, Thank you for taking the time to leave us this wonderful review! We're so happy to know you had a great time with your family. Please come visit us again soon! Dear Mr. Higginbottom, Thank you so much for your stellar review! We truly appreciate your positive feedback and will look forward to your next visit! 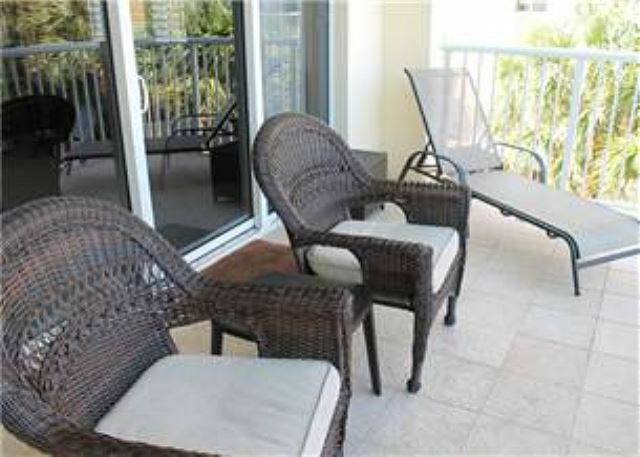 Great Condo, well appointed, well stocked and well loked after. This was our second winter in 301 and we were very pleased that our return was as nice as the first tome we walked into the condo. This condo is well managed and has views that are to nice both in the daylight but at nighttime as well, we would highly recommend this clean unit. Dear Ms. Crowe, It is so lovely to hear that you've enjoyed your time with us! As property managers, it is important to know that we're doing a good job keeping units clean and providing all things necessary for a memorable vacation. We look forward to your future stays with us! Dear Ms. Gilford, It is so wonderful to read your review and know that you had a great time making memories with your family. This is the whole reason we're in the business of hospitality! We love providing a place for families to relax and reconnect. We'd love to have you back again soon! 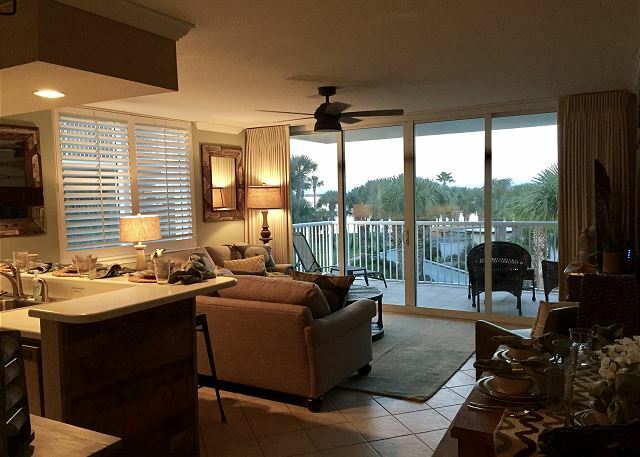 I have stayed at Destin West 3 times now and I have to say this was my favorite condo yet. The decor was so pleasant and even more important the owners had thought to provide literally everything you might need for your beach get away. The garage full of goodies was so handy. Rather than buying our own chairs and umbrella or renting in off the beach they were provided in the garage. It was incredibly handy. The condo itself was very clean and comfy! Then there's the property itself. One of my favorite things to do at Destin West is to just relax in the lazy river. This is truly one of my favorite places to vacation! Another thing to note her is that the hosts were incredibly swift to answer all of my questions and provide support! Dear Ms. Nevels, We so appreciate this wonderful review! Thank you so much for sharing your sweet comments with us. We can't wait to have you back again! You don't want to miss this rental ! I will have to say that staying somewhere new is always scary because you never know if the pictures are really going to be anything like the actual rental space . Oh my goodness ! This unit was even better ! You can obviously tell that the whole condo has had a makeover and I was totally impressed ! The decor is simply beautiful . All of the mattresses were very comfortable ! Overall I would give our stay an A+. The pictures don't do this condo justice. It has been a truly great vacation stay in this condo. Condo was nice. Frig was aggrivating. Far walk from bayside condos to beach. I would recommend staying beachside, being closer to the beach & walking to the lazy river when desired. Beautifully decorated, super comfortable, perfect!!! My husband and I stayed here with our 2 and 4 year old. This was the first time they have seen the ocean. The resort is great. There are so many pools and hot tubs to utilize, along with the Ramada next door with their splash pad. This was a big hit with my littles. The beach access is awesome. Is is very easy to go from the beach to the pool and back again. The garage full of umbrellas, chairs, toys, and the wagons to carry all of your beach items is a very nice touch. I think this condo could use a more thorough cleaning between guests. We found many items from the previous guests. The pillows smelled dusty. Not bad, just like they needed laundered. I also wish we could have made the condo cooler. The fans in the bedroom and living room were great! They really moved a lot of air and helped cool the condo. There was only one nonstick pan, while the rest were stainless and difficult to use. It was great to have rubbermaid containers in the kitchen for leftovers. Just one more small thing the owners thought of to make the condo feel more like home. The fridge was great, huge, and new. However, the ice machine did not work and it was finicky. You had to shut it just right, otherwise it beeped loudly. The steps for the bunk beds were difficult to maneuver. My kids would not sleep on the top bunk because they had a difficult time getting back down. Overall, we loved this condo and are already planning our trip back next year. I can't say enough great things about the resort. It is absolutely great. I would highly recommend this condo, the resort, and the company we rented from. The resort is very family friendly and has something for everyone. This condo truly is amazing with great decorations and even better onwers! Thank you for a wonderful family vacation!!!!! 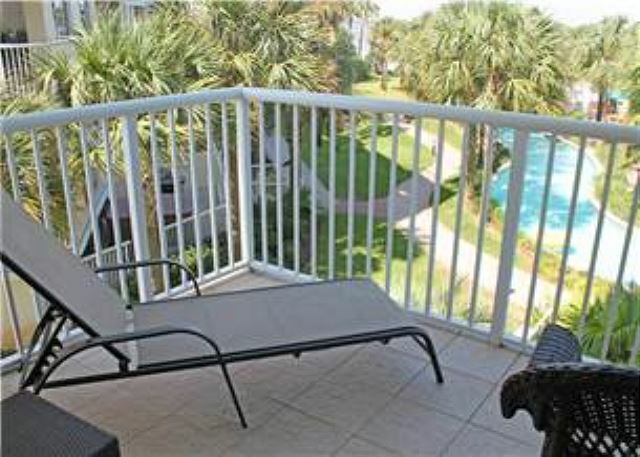 Poolside condo which has been newly renovated. 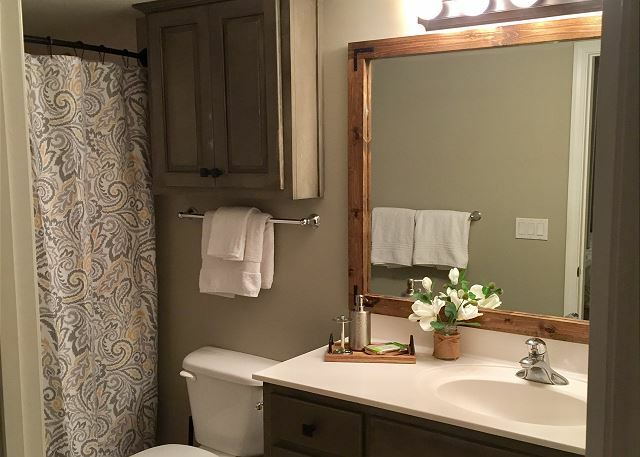 It is decorated so nicely and has most items you would need in a home away from home! pool was heated, lazy river was not - kinda of a bummer for our kiddos, regardless we all had a good time. Would definflety stay again. We had the time of our lives! Can't wait to go back!! This condo was so beautiful! I'd hire the decorator in a heart beat. It felt like we were at a five star resort. There are so many things to do in the area and all just a few minutes walk away. 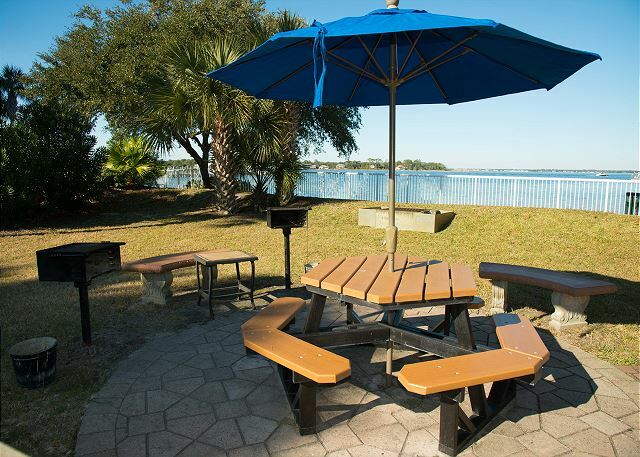 Fish from a dock, float in a lazy river, relax in a hot tub, enjoy the beach, and much more! We'd recommend this place to everyone! Our trip consisted of one adult and three preteen girls. This condo was perfect with the bunk room and the king size bedroom. The condo is decorated beautifully. The kitchen has every thing you need to cook up a great meal. We were delighted to find that the pool was heated, which kept the girls entertained the entire time! We also loved that it had a Keurig coffee station in the kitchen. The view from the balcony is also a plus looking over the fun going on in the pools and lazy river. We can't wait to return! 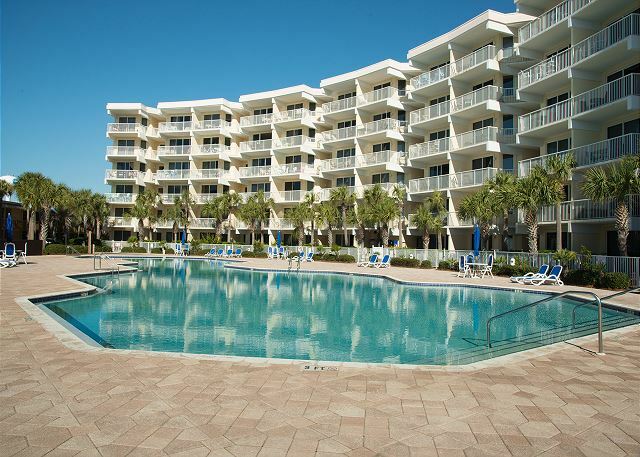 We have been returning Snowbirds for the last 12 years and have stayed in a variety of Okaloosa Island condos. 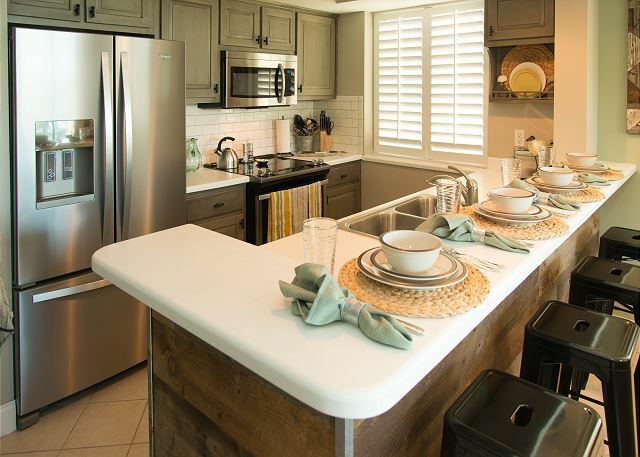 One word would adequately compare Pelican, unit 301 to our other rental units and that would be WOW! From the very first glimpse when you enter the unit, you can’t help but be amazed at the detail in the decor, the overall cleanliness and of course the scenic view of the Lazy River and pool area. We were staying for 6 weeks and found the unit extremely well stocked with everything you could possibly need. If we were asked to grade our unit we would give it a solid 11 out of a possible 10. It was that nice and that comfortable. This unit will meet and exceed all your expectations. This place is Amazing! It overlooks the lazy river and is perfect. Very Nice. We had 7 staying and brought a fold up cot and there was plenty of room. Kitchen and bathrooms were well stocked with plenty of dishes to cook everyday and plenty of towels. Be sure to bring laundry detergent and dish washing soap if you plan on using lots of dishes and towels lol. We couldn't have asked for a better place to stay. Easy access to the beach and the bay. Seriously. Perfect. 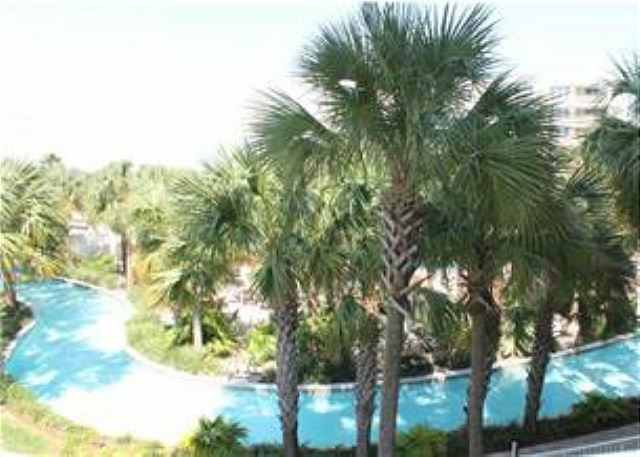 We had a wonderful time at Destin West, the pools, beach access and lazy river were great. condo was set up well, but was somewhat dusty, needed a full clean. We had a good stay. Condo was clean & well stocked. My experience was wonderful as usual. Julie and team always gives guests peace to know there is nothing they can't handle or fix. Thanks Reggie! We look forward to having you back soon. Room was great, everything was as expected. Access o the garage with beach chairs and toys was the best.